According to the MoneyTree™ Report by PricewaterhouseCoopers, venture capitalists invested $71.9 billion in 5,052 deals last year in the U.S., making 2017 the second year that saw dollar funding top $70B. The PwC MoneyTree Report further notes that global funding increased nearly 50% in 2017, with $164B invested across 11,042 deals. So what are these venture funds and other professional investor groups looking for? A disruptive business concept, strong and experienced management and a clear path to growth are givens. However, most professional investors will also be seeking other, less obvious items, especially once deals reach due diligence. Below we explore five of the more important legal issues that professional investors are likely to review in a standard due diligence process before deciding to make an investment in an early-stage company. Whether your company is a corporation, limited liability company (LLC) or partnership, when seeking investment, you should ensure the following: the basic governance structure is finalized and agreed to by all stakeholders; the organizational documents are adequate and complete; and all meetings of the board of directors/managers or shareholder actions are properly reflected in the minutes. Additionally, the company should be treated as a separate entity (and not as the alter ego of the founders or of another business), and the equity records of the company should be complete. Upon deciding whether to make a venture investment, an investor will likely request a review of those organizational documents and minutes to gain a better perspective of the actions the company has taken in the past— including when, to whom and what type of equity grants were awarded. One of the most common issues we see with early-stage companies is that there are ongoing disputes about who owns equity and how much equity they own. This can be avoided by seeking legal counsel when you issue equity to ensure that it is done correctly. The easiest and best way to make clear what all of the equity holders’ rights are in a company is to have a shareholders’ agreement or operating agreement. Again, legal counsel can assist you in preparing these kinds of agreements and in determining what provisions to include. 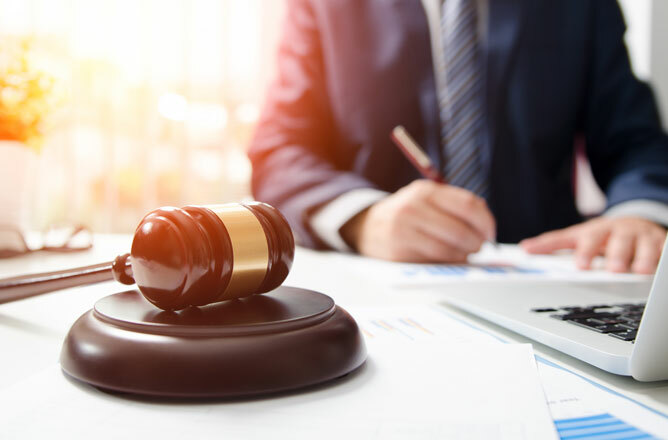 Common provisions include voting arrangements, restrictions on share transfer, “tag and drag” rights in the event of a sale, anti-dilution provisions and rights of first offer or refusal. In our experience, these agreements are often contemplated or prepared in draft, but too frequently are never finalized and signed by all parties. This leads to uncertainty for subsequent investors in the company and what rights all parties have. The absence of a final and signed shareholders’ agreement may also allow certain equity holders to block a potential venture investment and to hold the transaction hostage unless they are given preferential rights. If your company is like many early-stage companies (e.g., centered around or built upon its intellectual property), then it is essential that there is a clear chain of title to that intellectual property from its origination through its ownership by the company. If any people assisted in creating the company’s intellectual property, an investor will expect to see signed intellectual property assignment agreements, assigning any potential ownership rights or claims to the company. Furthermore, depending on the nature of your intellectual property, it may be prudent to conduct diligence to confirm that you are not infringing on third-party intellectual property. Although an agreement does not have to be in writing to be enforceable, it a good idea to ensure that all of your material agreements are in writing, contain all important terms, and are executed by all parties. The kinds of agreements that should be in writing include vendor and supply agreements, customer agreements, warranty and guaranty terms and employment agreements. Prior to making an investment, an investor will likely request to review your material contracts to gain a clearer picture of your business’ obligations. Along these lines, when negotiating a written contract, many third parties will include certain provisions within the contract, including indemnification, non-compete, license, and limitation of liability provisions. Keep your eye out for these provisions. If some end up being unusually one-sided, they may become a hot-button issue during due diligence and may adversely affect your company’s value to a potential investor. As always, never hesitate to ask for legal help if you are unsure of what a contract says. Maneuvering the complicated regulatory landscape is a must. This is true regardless of your industry. For example, in recent years, a popular ridesharing app faced several regulatory challenges from state and local government agencies alleging that its operations are illegal. Before making an investment, investors will want to ensure that your business plan is not endangered due to regulatory concerns. Accordingly, at the outset, you should seek legal counsel to identify any potential regulatory issues (such as pending legislation, litigation and potential regulatory actions) and to confirm that such regulatory issues will not adversely impact your business model. Looking for answers to your startup-related legal questions? Head over to our Entrepreneur Toolkit to download a helpful guide designed to assist with answering some basic questions regarding structure, decision-making and dispute resolution for your startup.